The game is essentially a "de-make" of Grand Theft Auto, with a go-anywhere, do-anything format and a top-down perspective. (Distances are measured in "px" instead of feet - nice touch.) Twin-stick gameplay makes it feel more like a shooter than anything else, but the on-foot and vehicle sections have a startling amount of variety. Players will recognize segments inspired by Metroid, Metal Gear, and Contra, to say nothing of the multiple cameos from indie darlings like Super Meat Boy and BIT.TRIP. The first mission has fairly overt references to Duck Hunt, Super Mario, Bill & Ted, and Back to the Future, among others. 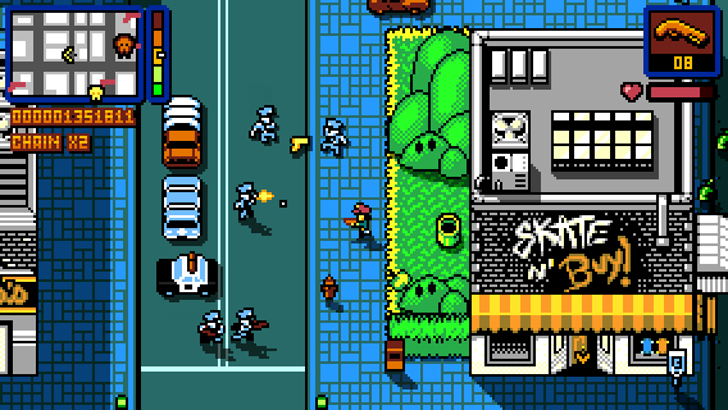 Retro City Rampage is presented in an 8-bit style, with a few modern niceties like parallax scrolling and an expanded color palette. 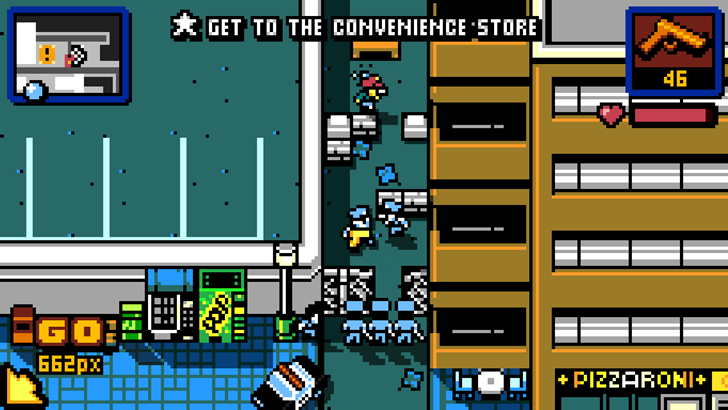 If you're a purist, the game includes a "ROM City Rampage" mode that's 100% hardware accurate for 1989. Now that's dedication. 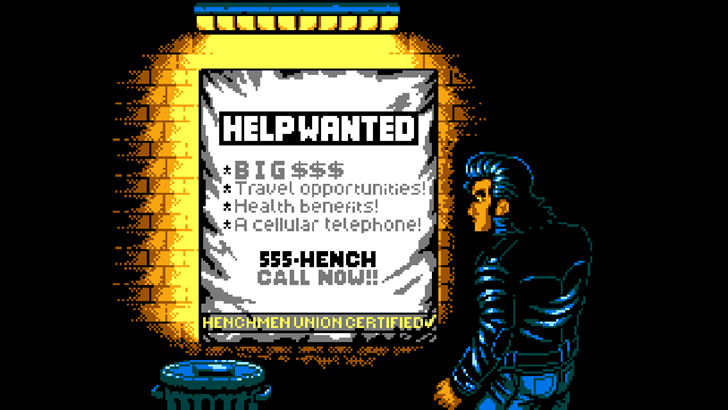 Throw in 60 crime-based story missions, 40 arcade-style minigames, and a ton of vehicles and weapons, and the game definitely deserves a look. 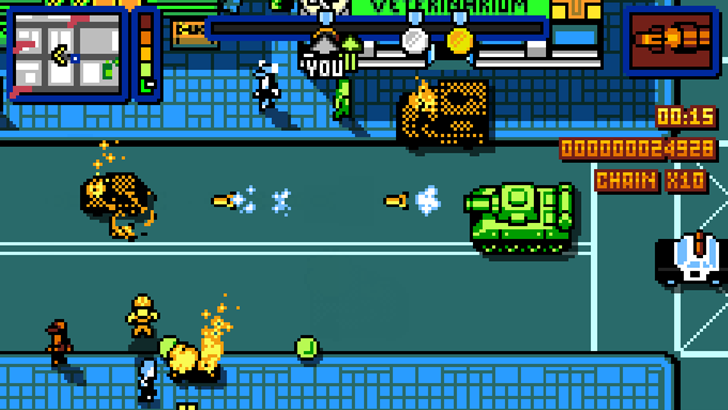 Retro City Rampage DX includes full controller support and it's compatible with Android TV.